Riccardo Pratesi (@rprat75) of La Gazzetta dello Sport wrote an intriguing analysis about Antonio Conte on 4 May 2014. 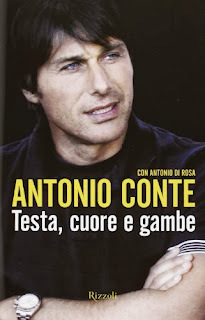 His editorial was entitled, "Conte: Three Italian Titles on Three Attempts: How did it change, what was changed?" Signor Pratesi made a concise analysis of Conte's three Serie A Scudetti wins on a trot and how he achieved it. Let's take a look at what he had to say. On three seasons at Juventus with three Italian titles (Scudetti). On Conte's inexhaustible source of motivation. On how Conte's anger and desire led Juventus to glory. 1. On three seasons at Juventus with three Italian titles (Scudetti). Three seasons at Juventus; three Italian titles won. Mr. Scudetto (Italian title), pardon me, Antonio Conte, changed players, playing formations and attitudes during his Juventus adventure. But never the final result; however, the celebrations for the Serie A title came as punctually as a birthday in May. He has put forth so much. His creature resembles the following: intensity, tirelessness and even ferocity. With anger, desire and determination. The champions were fine-tuned immediately. Those who know that the first ingredient to win is a hunger of success. Andrea Pirlo in the first year and Carlos Tevez in the last one. No prima donna designs. There was so much sweat and class as an added value. This was the strength of Conte: to make gregarious players such as Simone Pepe, Emanuele Giaccherini and Kwadwo Asamoah believe in the project. And the shining talents such as Alessandro Del Piero, Mirko Vucinic and Paul Pogba. Flanking a rigorous Italian old guard: Gigi Buffon, Giorgio Chiellini, Andrea Barzagli, Andrea Pirlo and Claudio Marchisio. And to integrate them each season with a connection of quality. Above all, Carlos Tevez and Fernando Llorente, in this third season, at a record-setting rhythm. Conte is an inexhaustible source of motivation. There was the taboo of winning the Scudetto in the first season. Juventus had to get back to being Juventus: the default winner in Italy. There had been two seventh-placed finishes. Well, that wasn't his baggage and all to be forgotten. And to make fans forget. There was the painful page of Calciopoli to turn with the first success in the aftermath and a post-Serie B experience. There was Massimiliano Allegri's Milan as the first adversary. There were Mirko Vucinic, Alessanrdo Del Piero, Alessandro Matri and Marco Boriello up front. And Simone Pepe was the tactical utility man. The 3-5-2 was born after various tactical evolutions. There was joy, immensely so, on the part of the club and Juventus supporters that erupted far away from home, in Trieste, against Cagliari (where Juve clinched the title). It was the 30th Scudetto for Juventus fans; the 28th officially by league authorities and for everyone else. Then, the following year, a great motivation was represented by Conte's suspension for having had knowledge in the sphere of a betting inquest. In the end, he was out for four months, 15 fixtures, up until December. An intimate anger sprang from a wound of excruciating pain, of which a few shreds have been thrown out, irrepressible, violent, even in front of the microphone. The rest of it was held there, at his fingertips, to use it to give even more. To ask more of his players. To always win more. To defeat Napoli who this time were the rival of the moment in the iron-clad Scudetto race. There was Paul Pogba, who exploded on the scene like a firework. And Emanuele Giaccherini, the new tactical utility man, one possessed of a racing, breakneck speed. There was Sebastian Giovinco next to Mirko Vucinic. There was another Scudetto, won overwhemingly ahead of schedule, this time at Juventus Stadium in front of "the faithful" against Palermo. Then the more recent history. There was the desire of three on the trot; the stuff of records. The desire to write pages that would remain forever. The desire to have even more desire. To have it not leave his group. There were new attackers who were better: Carlos Tevez, who should have been difficult to manage on paper, and who instead, Conte discovered a wonder. And Fernando Llorente who in the beginning was a mysterious object. Then he scores even with a back heel. There was Rudi Garcia's Roma, the latest new rival for the Scudetto. And another triumph at Juventus Stadium against Atalanta. As the owner. Of the house and the Serie A.
Steve Amoia is a freelance writer and translator based in Washington, D.C. 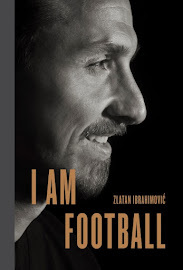 He is the publisher of World Football Commentaries since 2006 and published The Soccer Translator from 2008 to 2015. He has also contributed at AC Cugini Scuola Calcio, Beyond The Pitch, Football Media, Italian Soccer Serie A.com, Keeper Skool, and Soccerlens (Sportslens). www.worldfootballcommentaries.com: Unbiased journalism and unique content since November 2006.